WARNING: This pack includes two popular marijuana simulations in the forms of indica and sativa. This is a TWO DOSE DOWNLOAD, with each dose being 15 minutes in length. Please be on GOOD WIFI and have enough DRIVE SPACE free to support the download size. 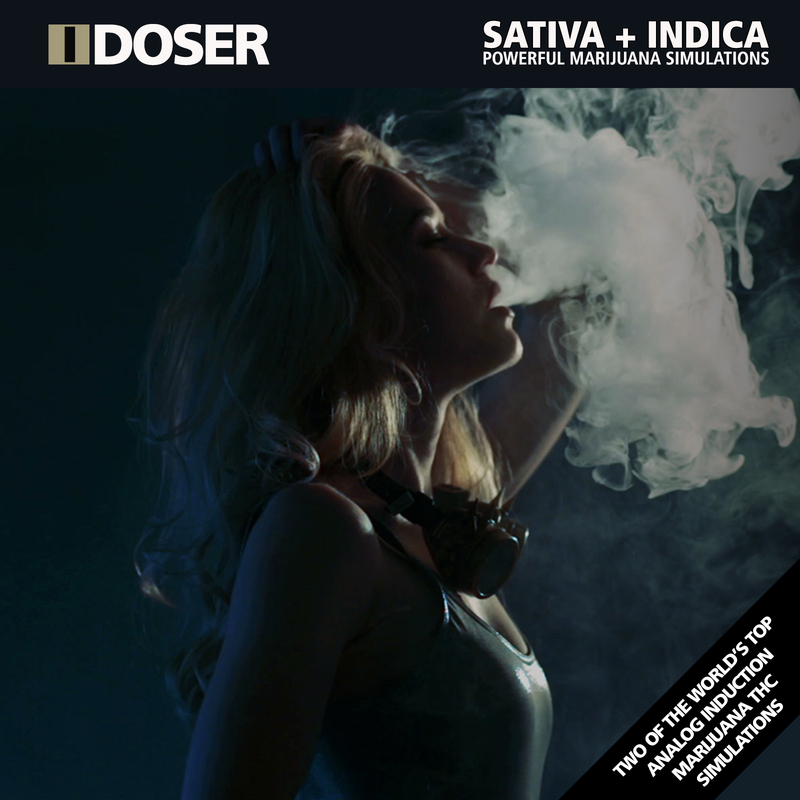 The iDoser Sativa Dose is a beautiful blend of white noise carrier, music and artisan brainwave tones. It kicks off a series of cellular reactions that ultimately lead to the high that users experience when they smoke marijuana. That is EXACTLY what we tried to emulate with this dose, to GREAT effect: mood lift, philosophical or deep thinking, increased appreciation of music, and pleasant body feel! The iDoser Indica Dose is a beautiful blend of music and artisan brainwave tones. This will enable you to experience the full effects of indica! This indica simulation is a potent sedative with a balanced body high. It can help you relax, relieve stress, and improve sleep. It is perfect for meditation, and an effect that only this indica simulation can achieve.